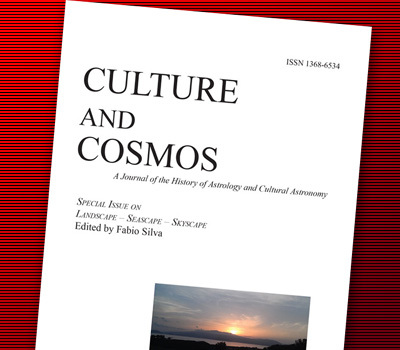 Culture and Cosmos welcomes submissions on any aspect of the history of astrology (the practice of relating the heavenly bodies and celestial phenomena to lives and events on earth) or cultural astronomy (the relationship between astronomy and human thought and society). We also include Archaeoastronomy (the study of the relationship between the sky, archaeological remains and artefacts in their environmental and cultural contexts) and Ethnoastronomy (the study of the relationship between the sky and social and cultural institutions). Suitable topics therefore include any aspect of astronomy or astrology and the arts, politics, religion and society, and approaches may be historical, anthropological, sociological or philosophical. Download a copy of our style guide here as a word document. Download a copy of our style guide here as a pdf. All papers should include an abstract of between 100 and 200 words. Authors will be notified as soon as possible of the acceptability of their submissions. 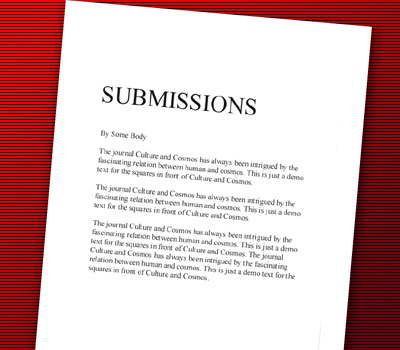 All submissions are peer reviewed for originality, timeliness, relevance, and readability. Those articles which are acceptable in principle but do not meet the required standards will be edited and returned for verification and/or improvement in line with the suggested amendments and corrections. Copyright of text is retained by the author. 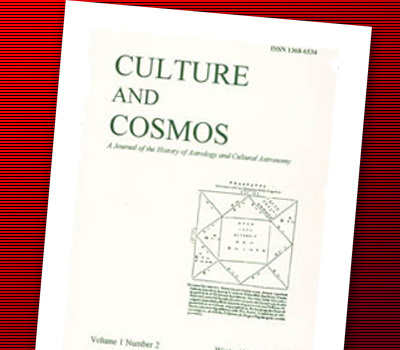 Copyright of the form in which articles appear is held by Culture and Cosmos. Authors will receive two complimentary copies of each issue containing their published article.